Cashbid drops his first solo track since The Realest after making an appearance on The Mcpotar EP, SpekkTrumn's LLOR, R. Peel's Nobody Got Time Remix, DJ Krimz Beatz' K.O and his own Full Moon at Midnight. This is a week after Kata dropped his Tehn diamond diss to an underwhelming reception (which he was used as a puppet for, but more on that on another article. Two ago a Marcques diss track surfaced and now Cashbid also seems to have something to say. Delivery is on point, he owned the beat. Points to mention is the reference of new-school rappers who disrespect their seniors in the game, Christian Hip-Hop rappers who just namedrop God in their lyrics but aren't any different in their content from their secular counterparts. It is rumoured that these are shots fired at Mudiwa and Brythreesixty. Team Bhoo also got a mention (which was highly likely given the #HatipfekeBeads issue on social media last year). It's all for the sport right? peopl;e had been too quiet but this summer things seem to be heating up. Hopefully we will see Lyrical Redesign (Cashbid's mixtape/album) anytime soon. 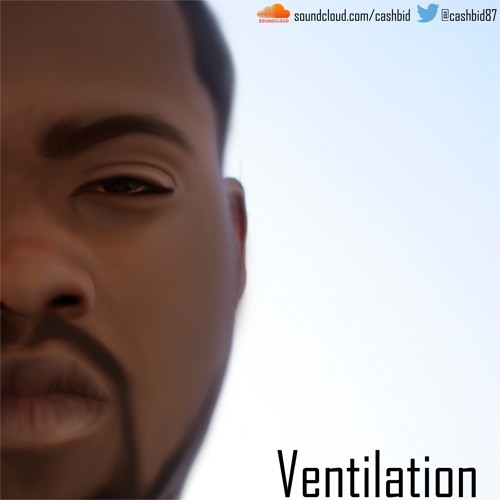 Stream and download Ventilation below.